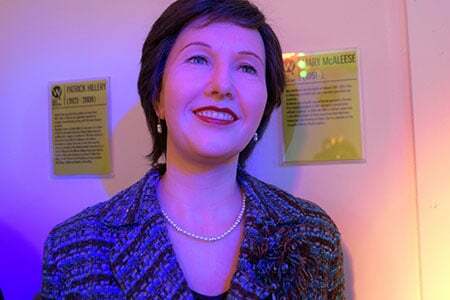 Philomena is a special mother to The National Wax Museum Plus. 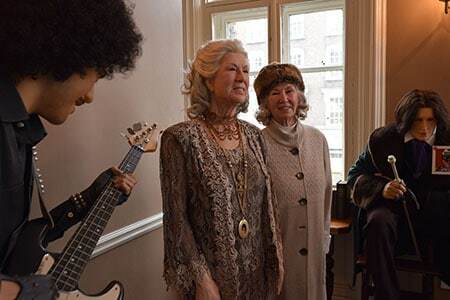 She’s our most recent waxwork and is the mother of the much loved rocker Phil Lynott. She was only 18 when she gave birth to Phil in London, and she was brave enough to move Phil to Dublin and reared her son with the help of her own mother. Sadly, Phil left us over 30 years ago, but Philomena has never stopped loving him and cherishing his memory. She even published a book “My boy” where she relate with more details their relationship. Happy Mother’s Day Philomena!! Mary McAleese was the second female president of Ireland. She served from November 1997 to November 2011. This led to her being ranked the 64th most powerful woman in the world by “Forbes” at the time, she did this all while being a very powerful mammy. She got married with Martin McAleese and had three children. She had her first child, Emma when she was 30 and three years later twins, a girl and a boy. She has always protected her children, trying to distance them from media as much as possible and getting them a private and normal life, without any paparazzis following them everywhere. Ms McAleese has most recently continued from strength to strength as a spokesperson of Ireland, most recently challenging the church on their stance on female priests Thank you for that Mary McAleese! And…. Happy Mother’s Day! 29 seasons, 629 episodes and 28 years as the mother of the most famous cartoon family. They’ve been on every tv station, translated into many languages. 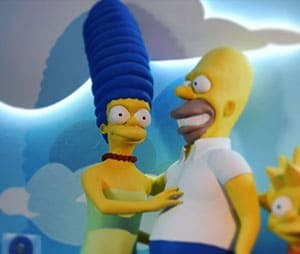 She has bailed Bart out of jail, supported Lisa with her saxo lessons or school events, all while minding baby Maggie. Not to mention the way she has to deal with the fall out her husband leaves. We admire your endless patience Marge. Happy Mother’s Day! Tina Turner, The Queen of Rock N Soul, was also a mammy throughout her career! She met Raymond Hill at 19 and fell pregnant with her first son Craig. When her relationship finished she met Ike Turner, with whom she started singing and had her second baby: Ronnie. Things with Turner famously didn’t go as planned either. She divorced him and she’s such a wonderful mammy that after divorcing him, she reared her biological children as well as the two sons Turner had with his ex-wife! Tina Turner is a very special mam, taking care of her children and adopting two more while she rocked around the world! What a great mam. Happy Mother’s Day Tina!! 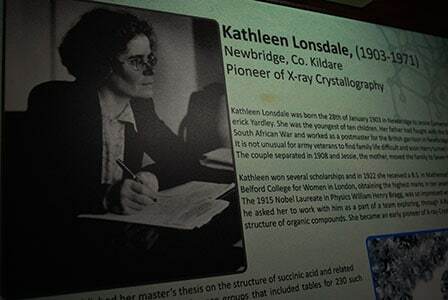 Kathleen Lonsdale was an irish engineer and is one featured in our Science and Discovery area. She was the first to prove experimentally that the hexamethylbenzene crystal was both hexagonal and flat in shape. Even though science requires patience and a lot of time, she was able to rear three children. She worked hard at home while her children were young so she could be one of the most important Irish engineers at the same she was a great mother!! Happy Mother’s Day Kathleen!! Susan is one of our in house artists and she’s a very special member of our team. 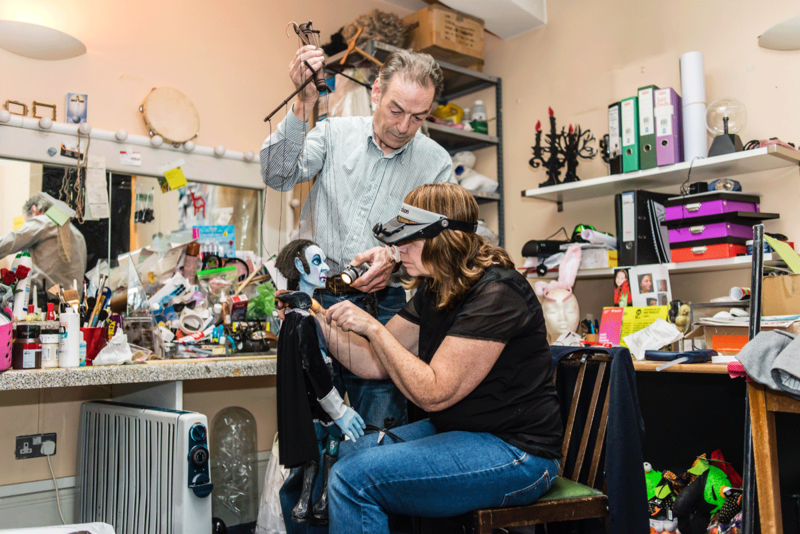 Our resident make-up artist, set designer, shoulder to cry on and creative genius she has worked for the Museum for many years, including both of our changes of location. She has done all of this while being a brilliant mother to Hannah, (and half the Museum). She’s also going to kill us for mentioning her. A very special Mother’s Day Susan! To celebrate all mother’s we’re also offering a special deal with our neighbours J.W. Sweetman where visitors can avail of a Family Pass (Two Adults & Two Children under 12) and a Family Dinner in J.W. Sweetman’s for €55. A Family trip to the Museum, A Family meal in J.W. Sweetmans and all for Mam. Check out here for the terms and conditions. A very special Mother’s Day out there to all Mothers from all at The Museum!